Following World War II, British Prime Minister Winston Churchill, in 1946, delivered one of the most famous speeches of the 20th century. 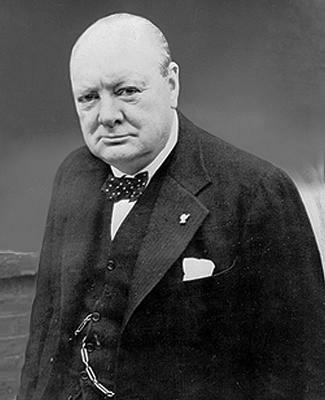 Known officially as the “Sinews of Peace,” Churchill’s speech came to be known as the “Iron Curtain” speech, and it foreshadowed the Cold War. 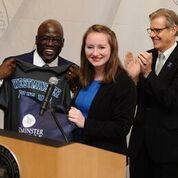 Benjamin Akande, dean of the business school at Webster University for the past 15 years, will become the 21st president of Westminster College in Fulton, Mo., on July 1. At his introduction to the campus community in Fulton on Friday morning, Akande pledged to lead the 164-year-old school “from success to significance” on a broad scale. This article first appeared in the St. Louis Beacon: From Stettin in the Baltic to Trieste in the Adriatic, an Iron Curtain has descended across the continent. Behind that line lie all the capitals of the ancient states of Central and Eastern Europe. Warsaw, Berlin, Prague, Vienna, Budapest, Belgrade, Bucharest and Sofia, all these famous cities and the populations around them lie in what I must call the Soviet sphere. Winston Churchill is famous for making political speeches, warning of political peril ahead. He warned Great Britain and the world of the dangerous rumblings coming out of Germany during the 1930s as well as when Communist Russia began to expand its reach after World War II. At that time, Churchill warned the world of the "iron curtain" descending across Central and Eastern Europe. 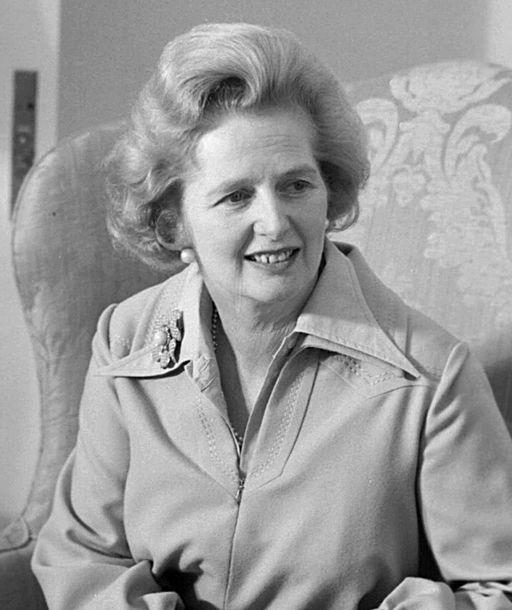 In 1996, former British Prime Minister Margaret Thatcher visited Westminster College in Fulton, Missouri, the same place where almost 50 years earlier, Winston Churchill delivered his famous “Iron Curtain” speech. During her visit, Thatcher gave a speech that still has relevance today, especially in light of the continuing threat of nuclear weapons by North Korea. This article first appeared in the St. Louis Beacon: November 18, 2008 - Only weeks after painting a rosy picture about the fiscal health of the University of Missouri, the system's president, Gary D. Forsee, reversed himself on Monday by announcing a system-wide hiring freeze.